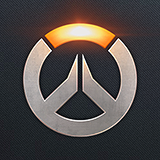 Forums General Discussion Map Editor for Overwatch? Will there ever be a map editor for creating custom maps? It definitely would be very cool and fun to have in the game. I'm sure it will come at some point! Yes, I dream about it. Unless Blizzard releases all of their map assets and the mapping engine, then this won't happen. It looks like Blizzard is using Zbrush for their character models, so they might also be using that or Mudbox for their mapping. This means almost all the maps are built from the ground up instead of using ready-made assets that can be easily applied to every map. The only version of a map editor we could get would be to have presets people can use and then be able to place some small details/minor programming. Basically DOOM 2016's snapmap feature. For a lot of people that would be great, but I feel that is far, far inferior than letting people design their own maps because they have the mapping engine readily available. Original DOOM has survived for years not just because it's amazing, but because the ease of modding the game was built into the engine from the beginning with the WAD system, removing the need for "hacking" the game so it's different. Then, in 1997, they released the actual source code for DOOM, making it even easier for people to redesign the game. For Valve games, the Source SDK exists, a package containing the Hammer editor, the official mapping engine for their Source games. So, again, unless Blizzard releases a "snapmap" tool along with pre-made assets or releases the game's official mapping editor, this won't happen. There's a few problems with this. 1) Is your map beautiful and high quality enough to host the beautiful material (e.g. heroes) of Overwatch? 2) Is your map part of the Overwatch world, lore-wise? There would need to some quality control in place, which would cost more resources of Blizzard. On top of a long queue of maps waiting to be reviewed and approved/rejected. You haven't played tf2 yet have you? Only the RTS games have map editors (Warcrafts and Starcrafts). No other game have it. Not even Heroes of the Storm, which would be the closest to a RTS from the rest of their games. It's not an innovation. Map editors have been out as far back as Nintendo 8-bit games. The only innovation I've seen lately is the multiplayer real-time mapping editor, in the somewhat new FPS arena shooter, Reflex. Here is Kaplan on the topic. Click on the little tag on the right for the next post for more info. We are extremely open-minded about releasing a map editor for Overwatch someday. But because Overwatch was made with a brand new engine, this is not a small task or one which can happen any time soon. We have this on our long-term road map and believe heavily in user-made content. But there are many challenges ahead of us and it will be a very long road before our editor can be made available to the public. My suspicion is that we'll see a Vishkar map which is made out of the easily-modified hardlight that Symmetra uses, and thus can be customized by players. The lore aspect is already there, I just can't imagine a way of making it not look bad. Damm, he responded to this super old thread. But anyways, this is good to hear! I'm glad to know this is on your radar. Whilst I'm not a fan of user created content myself, I know that it often greatly boosts the longevity of the games it is in. For instance, fan created maps make up a fairly large portion of the maps in tf2, yet they are typically at the same quality valve themselves produce.